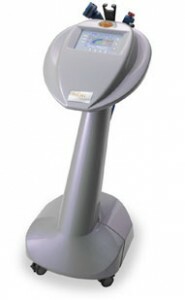 The Cynosure TriActive laser machine is an over-the-counter system that is effective and easy to operate. Although some training is required, an operator does not need a medical degree and this system has been cleared for laser cellulite reduction procedures. With a lost cost of ownership, the Cynosure TriActive laser system is a great addition to any business. The Cynosure TriActive laser machine can perform a variety of pain-free treatments and features six diode lasers for fast and effective results. It also has a massage hand piece so that you can add therapeutic massage to your menu of services. Contact SunrayLaser.com today for a low price quote on a pre-owned Cynosure TriActive laser machine. Even though a new Cynosure TriActive system is relatively affordable, that doesn’t mean you need to pay retail price. At SunrayLaser.com, we have pre-owned Cynosure TriActive laser systems for sale at up to 60% off the price of a new system. And we back up our cosmetic equipment with a full satisfaction guarantee. We want to make the process of buying a used Cynosure TriActive laser machine as fast and easy as possible. That’s why we are happy to provide a Cynosure TriActive price quote with no obligation. Just fill out the fast contact form below and we’ll get right back to you with pricing details and any other information you request.